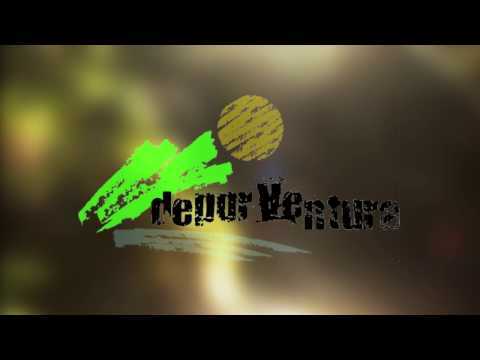 Deporventura performs activities in the Valle del Oso and all of Asturias such as BTT, caving, canyons, ravines, guided tours to Cueva Huerta, orientation, abseiling, zip line, climbing, snowshoeing, swimming pool, canoes, open kayak ... as well as bicycle rental, skates and snowshoes. Deporventura offers you a series of attractive activities so you can enjoy your free time, in a privileged environment as it is the Path of the Bear, where you will find multiple options to have a good time. The valleys of the Trubia river, formed by the municipalities of Proaza, Teverga, Santo Adriano and Quirós, joined by a long "greenway" that runs along the old mining railroad track, is today a tourist resource much sought after by all those who wish to pass a few days in a destination without mass and with all the amenities and services. Deporventura offers you Bicycle rental in the Senda del Oso, old railroad track that was used to transport coal from the mines of Quirós and Teverga and now converted into a Greenway. Enjoy a day by bike along the path of the bear, one of the most attractive greenways of Asturias, along its route You can visit the fencing and see in the famous Paca and Tola bears well accompanied by the impressive Furaco. You will discover charming villages with their typical constructions (granaries, bread boxes, fountains, laundries ...), you will cross tunnels belonging to the old railway, amazing gorges such as Peñas Juntas and Valdecerezales that you will not be able to resist to photograph. You will find landscapes of great beauty such as the Valdemurio reservoir in the council of Quirós, with different recreational areas where you can take a break. The route is perfect for family, with children of all ages since the unevenness of the bear path is very smooth. The path of the bear forms one and Greek with the ends in Santa Marina de Quirós, Entrago de Teverga and Tuñón de Santo Adriano. With a privileged exit in the Buyera area where there is a recreational area with large parking, area with picnic tables, pool, bar, toilets ... 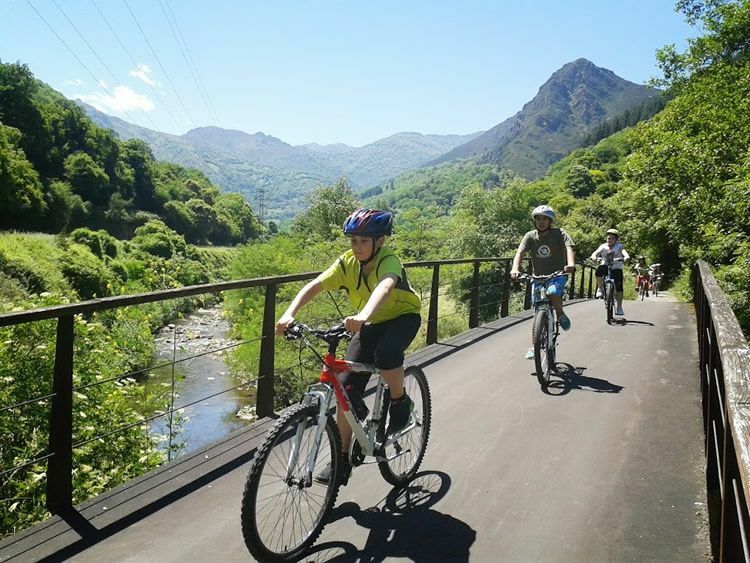 In the Tuñón branch connects with the path of Fuso that reaches Oviedo and in the Currently, the route between Entrago and Cueva Huerta is being improved passing right in front of the Prehistoric Park, which gives us a cycle path of more than 40 km in length. Discover with us the adventure of entering the interior of a cave descending with ropes rappelling, we will go through catteries to discover its galleries of great beauty. · Initiation level: ideal to start in the world of speleology, is suitable for everyone. As in all our initiation activities, an adaptation is made to be able to take place as a family, with children from 7 years. · Advanced level: perfect for those who like to go further, discover new sensations. We'll do rappels of vertigo, we'll go places you never imagined. · Helpful tips: mountain boot, rubber boot or sports shoes are recommended as well as spare shoes. Deporventura provides a full-body cover so as not to stain clothing, harness, safety material, helmet and lighting and any other material necessary for the performance of the activity. · Speleotourism and Caving: 30 € person. Get closer to Valdemurio reservoir in Las Agüeras, Quiros and enjoy a canoe ride in an impressive natural environment. The activity is suitable for everyone, with no age limit so it is ideal for families with children. Within the recreational area you can enjoy our facilities with its cafeteria service and changing rooms with showers. We have double canoes, kayaks and open kayaks. Rolling courses are held. · Helpful tips: it is recommended to bring a swimsuit, towel and flip flops because if you wish you can take a bath in the clean waters of the reservoir or take a shower in our facilities. We provide life jacket. There is also the descent of a section of the Trubia River in kayaks, always depending on the flow of it. The section that is carried out has an average difficulty and we recommend a previous test in the reservoir to see if the client's knowledge is sufficient to face the activity with guarantees. · Canoes: 5 € person and hour. If combined with bike 3 € person. Experience a unique feeling. Activity it consists in descending by the channel of a river passing through spectacular waterfalls, we will jump into pools and let ourselves slide down its stone slides in a natural environment you will never forget. · Initiation level: it is suitable for everyone, very easy and fun. It lasts from 2 to 3 hours. As in all our initiation activities, we adapt the activity to be able to take place as a family, with children from approximately 7 years. · Medium level: ideal for those who tried it and want to take a step more in this activity. We will descend through spectacular waterfalls up to 27 m. Tall. Its duration is about 4 hours. · Upper level: for lovers of canyoning. We made one of the most spectacular ravines in all of Asturias, with waterfalls of vertigo, impressive jumps and slides up to 8 m. They will leave you if you breath. Its duration is approximately 7 hours. · It is recommended mountain boot or sports shoes. The footwear will get wet, so it is very important to bring spare shoes. · It is also recommended to bring a swimsuit, towel, flip flops and if you want cleaning utensils to shower or enjoy our pool after the activity. Deporventura will provide you with a two piece neoprene suit of 5 mm., Booties, harness, helmet and safety material. Cueva Huerta is one of the largest Asturian cavities, with approximately 14,5 km in length, is located in the Estrechura Gorge, a few kilometers from the Park of Prehistory. Declared Natural Monument since the year 2002, both because of its size and because of its hydrogeological and biological complexity, is a space of enormous geomorphological, speleological interest, highlighting the presence of important hibernating colonies of bats. Visit catwalk Guided tour that is developed by a wooden walkway with an approximate distance of 300 meters, suitable for everyone, the only difficulty is to go up and down stairs. · It is not necessary any type of footwear or special clothing, just that it is comfortable and allows us to move easily. We provide you with a helmet and lamp. · Summer time: Tuesday to Sunday (Monday rest) 11: 00 - 12: 00 - 13: 00 - 16: 00 - 17: 00 - 18: 00 hours. · Timetables rest of the year: only weekends. 11: 00 - 12: 00 - 13: 00 - 14: 00 hours. · It is recommended to book visits, out of season we also make concerted visits for groups any day of the week. Speleotourism The visit of the catwalk is increased with an initiation to the caving in which one gains access to another small room where a rappel is realized and we prove what it is to put in cattails ..., if the conditions propitiate it it ends up doing also the channel of the river, and we will be able to visit the springs where the channel is born again. · This activity requires that we wear comfortable clothes and mountain shoes, we will give you a work suit, a harness, a descender, helmet and lamp. It is convenient to take extra clothes and shoes if we get wet inside the cave. · Schedule: all year, arranging the activity with at least 24 hours in advance. Adults 4 €, children 3 € and groups from 15 people 3 €, either children or adults.. There are initiation courses to climbing in the Llano, Quirós, one of the most important climbing schools in Asturias. Discover sensations that only climbing is capable of giving you. It is a very safe activity, suitable for everyone and like all our initiation activities, it is adapted to be carried out as a family, with children from 5 years. The activity lasts half a day and is done in the morning or afternoon. · Helpful tips: trekking footwear, mountain or sports boot, comfortable clothing, mesh or tracksuit is recommended. It is important to bring water. Deporventura will provide you with harness, helmet and safety material. · Climbing: 30 € person. Duration 3 Hours. Minimum group 4 people. Enjoy the winter, do not stay at home and come with us. We will give a Snowshoe ride through the most emblematic mountains of Asturias, know the mountain in winter and you will discover the pleasure of walking on its snowy slopes and the unparalleled satisfaction of ascending to its peaks. The activity is suitable for everyone, we adapt the activity to families with children in which we will play to be Eskimos building igloos or snow caves. This activity will occupy us a full day. · Helpful tips: mountain boots, warm and waterproof clothing as well as gloves, sunglasses, sunscreen, water cap and food are recommended. We also offer the possibility of renting only snowshoes. · Check prices in detail. Punctuation: 3.3. of 34 votes. 8 answers to "Deporventura: bike rental, ravines ..."